Barbara Jean Lucynski (nee Wentlandt) age 71 of Hartford, Wisconsin passed after a courageous battle with cancer at the Kathy Hospice in West Bend, WI on Wednesday, November 21, 2018, surrounded by her loving family. Barbara was born May 7, 1947 in Milwaukee, WI to Sylvia (nee Miracola) and Herbert O. Wentlandt. She was united in marriage to Robert Kenneth Lucynski on June 11, 1974 in Milwaukee. Barbara is survived by her beloved husband of 44 years, Robert K. Lucynski; loving daughters, Jacqueline “Jackie” Loomis and Christa (Dean) Goddard, both of Hartford; proud grandma of Cody (Kristina) Loomis, Anna (James) Weber, Cassie Loomis, Emily, Matthew, and Hunter Goddard ; proud nana (great-grandma) of Calleigh, Ayden, and Luca Loomis; dear sister of Cheryl (Greg Sr.) Rossey; sister-in-law of Diane (George) Liberatore; cherished aunt of Tara Rossey and Greg Rossey Jr. She is further survived by other relatives and friends. She is preceded in death by her parents and brother, Brian Wentlandt. Barbara’s family has coordinated a celebration of her life, Thursday, December 27, 2018 at 5:00p.m. . at St. Kilian Catholic Church -Gathering Area (264 W. State Street Hartford, WI 53027) with a prayer service officiated by Fr. David LaPlante. 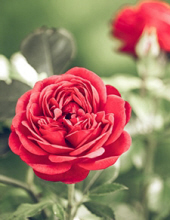 To send flowers or a remembrance gift to the family of Barbara Jean Lucynski, please visit our Tribute Store. Family has coordinated Barbara's Celebration of Life gathering. "Email Address" would like to share the life celebration of Barbara Jean Lucynski. Click on the "link" to go to share a favorite memory or leave a condolence message for the family.